Eric L. Smith for Kansas House of Representatives, District 76. A resident of Coffey County Kansas for over 40 years and well known to residents. 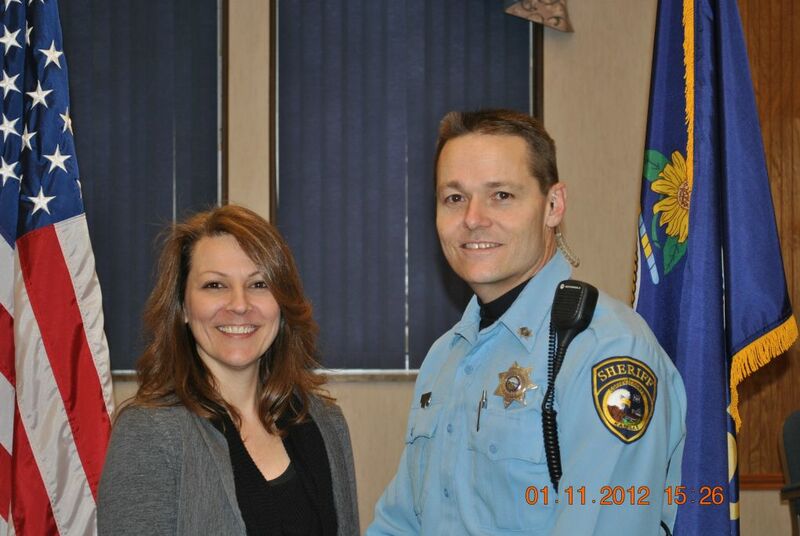 Has served Coffey County as a law enforcement officer for more than 15 years and continues to patrol. Now stepping up to serve Kansas as well. Friends and family continued to urge Eric to pursue service in office because of his passionate stance on important issues, his depth of knowledge on many issues and his persistence and experience in investigating the truth. During his first term, Eric demonstrated his unique value as a part of the citizen legislature, providing his insights on law enforcement and security. Eric will work hard for District 76 to make a brighter, more affordable future for our children and grandchildren. Carving out a legacy Kansans can be proud of that will help carry us into 2020. Eric Smith has spent nearly his entire adult life in service to his country and his community. A working class man of integrity, Eric graduated high school in Burlington, Kansas and began a pursuit in electronics. In 1988, he joined the United States Air Force when he saw the uptick of hostilities in the middle east, eventually leading to Desert Storm. Eric's military job did not allow him to serve overseas, however, as an electro-mechanical technician on Minuteman II ICBMs where he worked on the aerospace ground systems, onboard computer and carried vital information for our nuclear defenses, becoming a veteran of both the Cold War and Desert Storm, receiving the National Defense Service Medal, Good Conduct Medal and a special award of Master Technician for his proficiency in his field. After the military, Eric continued his pursuit of public service by becoming an unpaid reserve police officer for the Burlington Police Department in 1994. He was hired as a full time Law Enforcement Officer for the Burlington Police Department in July of 1995, attending the Kansas Law Enforcement Training Center and selected as the president of his academy class, the 138th Basic. In October of 1997, he was asked to join the Coffey County Sheriff's Office where he remained until December of 2001. After the terrorist attacks of September 11th, 2001, Eric applied for and was hired into the security department at Wolf Creek Nuclear Operating Corporation as an Armed Response Tactical Officer. There he served as the security union's chief steward and as a trained adversary in terrorist tactics to test security defenses at other nuclear plants as well as Wolf Creek. He served on the Joint Benefits Committee for over 5 years, a multi-discipline group overseeing the health insurance benefits of the company and as a member of the Human Performance Steering Committee for that same time frame, investigating and making recommendations for problem solving issues throughout the nuclear plant. In 2009, Eric returned to his first passion, law enforcement, getting his old badge back at the Coffey County Sheriff's Office, #358. He continues to serve full time in this capacity, as a patrol officer for the county he lives in. Eric L. Smith is a man of common origins. He is the average working American, having lived paycheck to paycheck for most of his life. As a single dad, he struggled to make ends meet at times, getting behind occasionally and having to be resourceful enough to climb his way back out. Eric has been married to his high school sweet heart since June of 2011 and together, they have 6 kids! Their marriage came at a time of crisis for Eric, when he was diagnosed with Stage IV Head & Neck cancer. Surgery was followed by two months of radiation treatments and chemotherapy which has resulted in a clean bill of health for 7 years! His wife Becky, during this same time frame, was diagnosed with relapsing/remitting multiplesclerosis and has been able to stabilize the disease, so far. 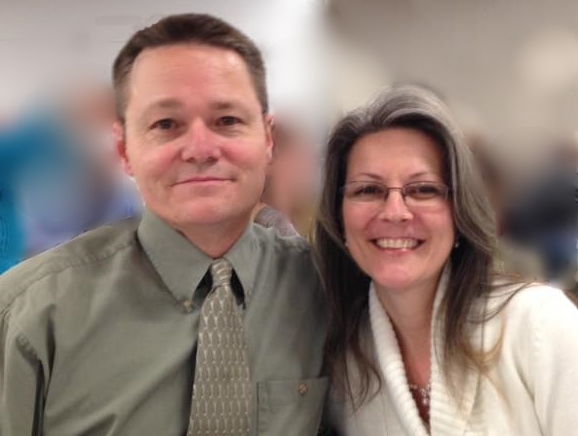 Yet, through all of this, Eric found a way back to God, with the help of his wife, and both are current and active members of their church, where Eric also currently serves as a board member. Their faith in our Creator has been a motivator that has brought them through adversity, increased their abundance and both give Him the glory for how far they have come! Remain faithful to his oath to uphold and defend the Constitutions of this nation and this state. The 2nd Amendment means no laws prohibiting private and legal firearms ownership. Period. Life begins when God says it does, so conception without exception. Pro-life. Smaller goverment is a must. Religious liberties continue to be attacked and need defended. Security of our state is a priority. Medicare expansion is unaffordable and is not the answer to our healthcare affordability needs for those who are unable to provide for themselves. Rural healthcare must be protected. Our veterans' physical and mental health must become a priority. The federal government expansion and intrusion must be stopped. Fiscal responsibility means -FIRST- being efficient with what we have. The state must take courage and use the tools our founders gave us to manage the fed. It takes people like yourself, who are willing to support Eric to become a true representative for your fellow Kansans! Please help TODAY! Political advertisement paid for and approved by the committee to elect Eric L. Smith, Treasurer Vickie Foster.